Gatchina, a small cosy town 10 km away from St. Petersburg, doesn’t enjoy the status of a tourism hot spot, but is still anyway a lovely place to make a day trip. The town has something to offer: the Gatchina palace (on the cover photo), now hosting a museum, the Priory palace and very big parks around the two palaces perfectly designed for walking. There are two options to come to Gatchina: commuter train and bus, both have their pluses and minuses. You need go to the Baltiysky railway station, from where commuter trains depart every 1-2 hours. The minus here is that trains tend to be overcrowded especially on work days as many Gatchina residents work in St. Petersburg. The biggest plus here is that you are free from any traffic congestions that sometimes happen on the road to the town. If you choose the rail, keep in mind that trains from Gatchina are busiest in the morning (the locals are going to their work in Saint Petersburg), and in the direction to Gatchina they may be overcrowded in the evening (the locals are coming back). 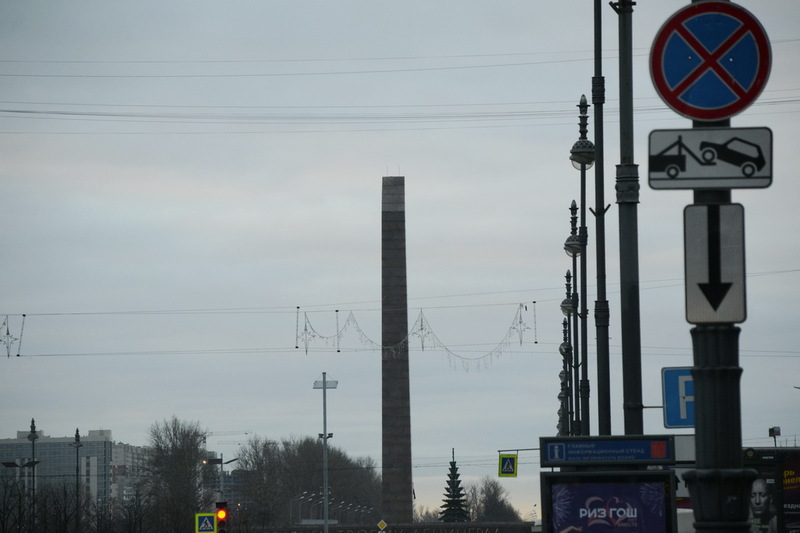 The station to get off in Gatchina is called Gatchina-Baltiyskaya. The Gatchina palace is located just 400 meters from the station and can be easily found. As you get out of the station building, go straight along the road, after a minute you’ll see the palace. We’d recommend the rail option for those living near the Baltiysky railway station. Travel time is about one hour. The trip starts from the Moskovskaya metro station. From here depart buses K-18, K-18A and K-100. If you wish to visit the Gatchina palace, then you need 18A. 18 is also an option, it stops about 200 meters from the building. If you wish to enjoy with a walk in the park, you can take 18A and 18 and take off at the Sobornaya bus stop. 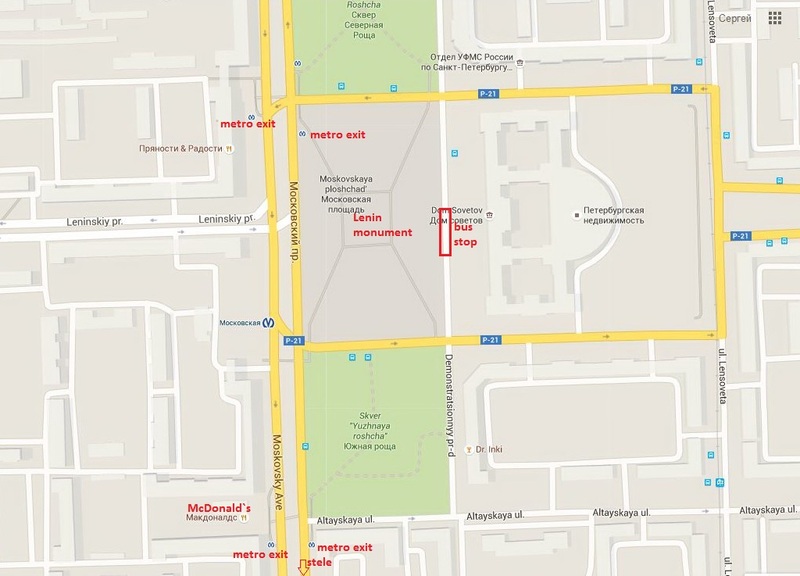 How to find the bus stop near the Moskovskaya metro station. 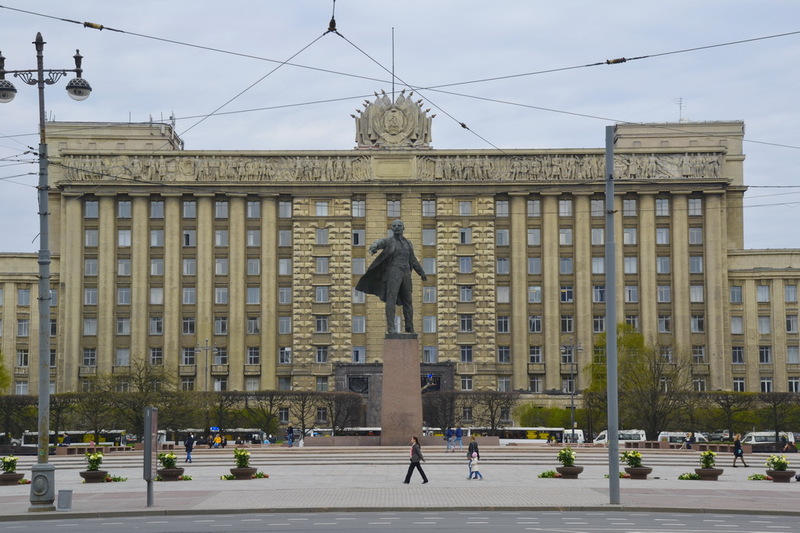 If you see the monument, go to the building behind Mr. Lenin, the bus stop is located between the monument and the main entrance to the building. If you cannot see the monument, but can see the stele then turn your back to the stele and go straight about one hundred meters until you see Mr. Lenin. If the description is too complicated to you, follow the map below on which all the points, the monument, stele, bus stop and metro exits specially marked. The bus stop to get off in Gatchina is very hard to miss. 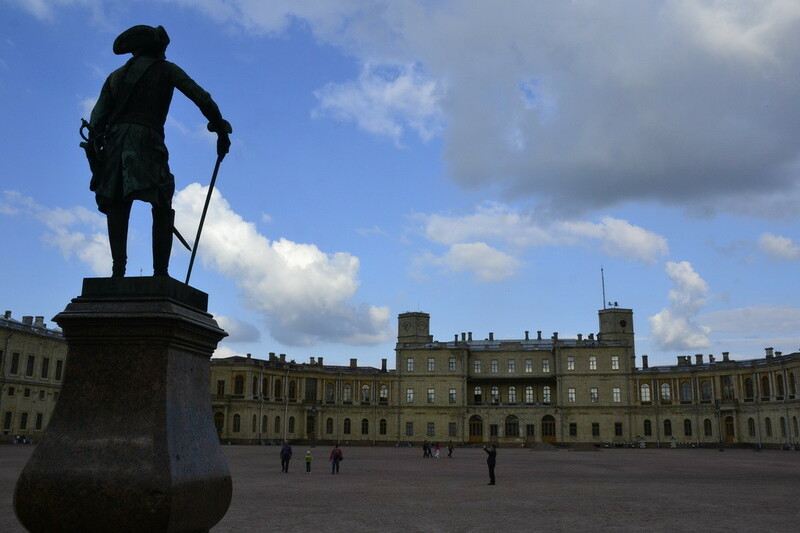 It is located opposite the Gatchina palace, so when you see the building, ask a driver to stop. Note that only bus N18A stops in the vicinity of the palace. When using route N18, ask a driver to stop prior to the Constable square from where a 200 meters path leads to the palace. There are two other bus options to get to Gatchina: K-631 from the Prospect Veteranov metro station and the municipal route № 431. We advise not to use them, since K-631 will not take you to the landmarks and the spot of departure is inconvenient, and №431 takes too much time to come to destination. Fare for K-18A, K-18 and K-100 is 80 roubles. Travel time is 40 minutes without congestions. 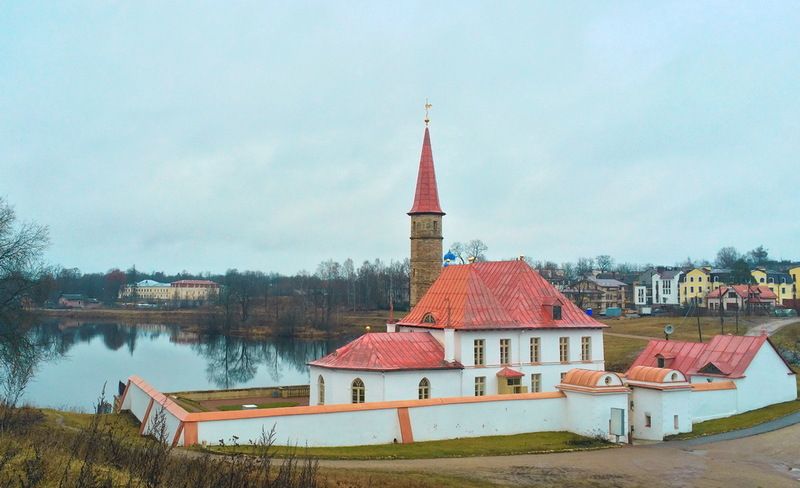 Gatchina is a town located in the Leningrad region with 96,000 inhabitants and can be described as a very calm and quiet place that gives you the feel of provincial and to some degree rural life. Gatchina used to be a countryside residence of the Russian royal family members and somehow has managed to retain a touch of that aristocratic atmosphere. What’s unusual about Gatchina, what differs it from Saint Petersburg, except the size and lifestyle, is the presence of wooden houses, mainly one or two stocked. The town lacks this tourist shine, which other suburban towns around St. Petersburg possess, and maybe it can serve as one of its pluses. The main landmark here is the Gatchina palace (see first picture of this post), built by Antonio Rinaldi. It hosts a permanent exhibition dedicated to the practicalities of the life of the Russian royal family members as well as paintings and many other art items, for example, antique arms of the 16th-19th centuries. The museum also stages temporary exhibitions, primarily on historic themes. The palace is open: 10.00 — 18.00 Tuesday-Sunday, on Monday and every first Tuesday of every month the museum is closed; the ticket office closes at 17.00. Phone: +7 812 958 0366. The Priory Palace is a unique building for Russia, one of this kind (built of rammed ground), survived till our times. Initially constructed for the cavaliers of the Maltese order, it served for different needs and now is a museum dedicated to itself. Address: The Priory park, Chkalov-street, Gatchina. Most visitors from Saint Petersburg come to Gatchina to walk in the parks, and many of them have never even been inside of the palaces, though they are, of course, worth exploring. 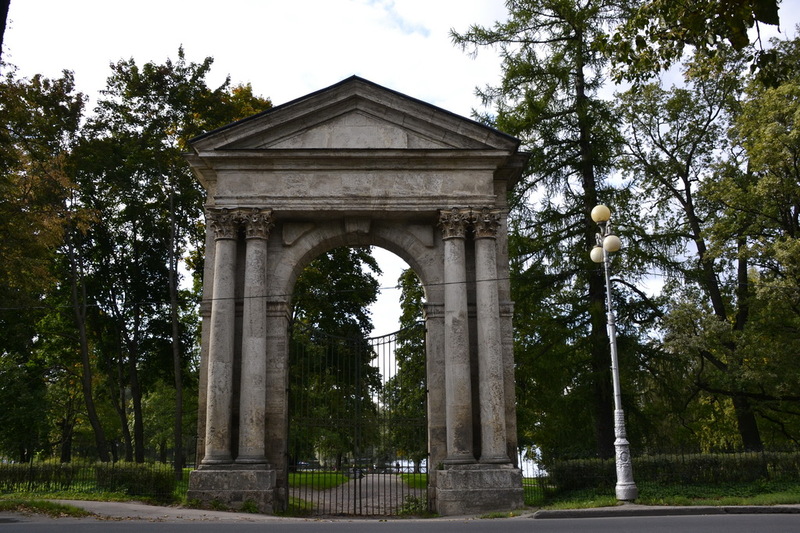 Entrance to the parks, which are «attached» to the Gatchina and Priory palaces, is free of charge. The locals say that it is badly settled and cleaned, and this is substantially true, and nonetheless it has some advantages. The most powerful of them is the big territory which makes it possible to find a quiet spot for everyone among trees, ponds and paths. Many come here just to breathe fresh air and escape from urban sound and gas and people pressure for at least a few hours.